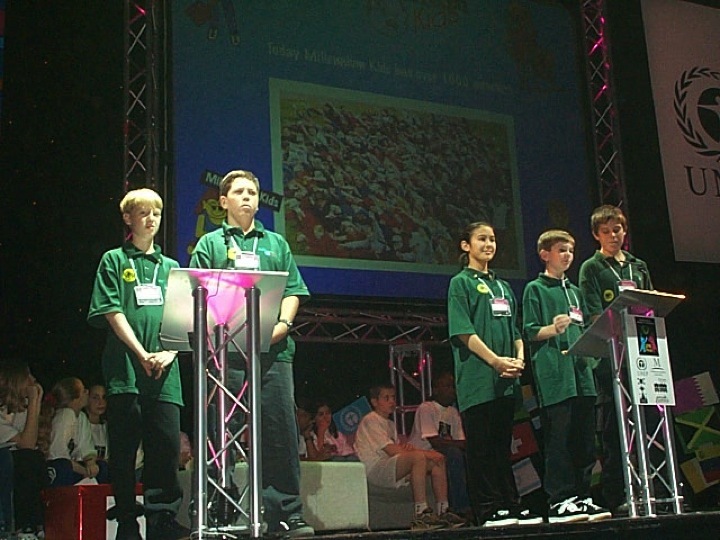 In 2000 Millennium Kids Youth Board members were invited to do the opening presentation at the second United Nations Environment Program “Leave it To Us” Conference in Eastbourne, UK. Watched by hundreds of young people the team, Gary, Tom, Luke, Tom and Lili talked about their passion for caring for the environment and the youth-led programs they helped develop – planting hundreds of trees on Gary’s parents farm in Brookton, helping the Department of Planning and Infrastructure develop the TravelSmart to School program and working with Alcoa Frogwatch and the WA Museum to promote the Frogwatch program in schools. 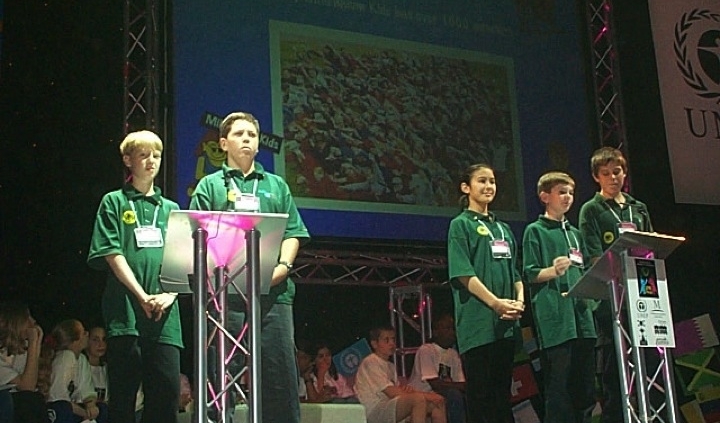 At the conference, the team met hundreds of young people from around the world who wanted to take action and care for the planet. Millennium Kids met friends from Tunas Hijau Indonesia, JEGOM in Malaysia and a team from North West Province in South Africa and developed friendships that last till this day. Gary’s tree planting initiative Millennium Kids Go Tree Planting ,on his parents farm in Brookton was featured in Wasshoi- Wasshoi! – An Ecological Information magazine for Children in the Area of Asia – Pacific Countries to inspire others to develop their own change making projects.